On August 15th, 2014, Staffing Industry Online Published a statement from the U.N. in New York City regarding their search for an online staffing provider. “The UN requires a Contractor that provides an online platform of freelance services to acquire professional services in performing specific tasks covering a range of activities,” according to the expression of interest. The United Nations is looking to partner with a provider who is able to give them access to a private talent pool so they can source talent on demand such as illustrators, graphic designers, data analysts, data visualization specialist, technical writers and proofreaders for multiple languages, game designers, computer programmers, mobile application developers, search engine optimization specialists, and events coordinators. These assignments will typically be short term and on short notice. Staffing services, such as those within Information Technology, can utilize a workforce management system like NextCrew to manage their currently inactive talent pool and provide access for the United Nations. This high profile account has the potential for great success for the agencies and the individual contractors involved in the projects. Not only can this staffing platform be used for the U.N. but it can also be customized for any potential clients with similar, short term needs. Click for more information on creating private talent pools and providing online staffing. The NextCrew platform would allow staffing companies to create a specific private talent pool to customize the experience for the individual clients. Top performers and those with specific skills can be recommended to the clients based on their requirements. The scheduling system in our workforce management and online staffing platform would also allow the UN or other businesses to request talent for onsite or remote projects directly with the online interface. This connects them directly with the talent pool and allows your recruiters to focus on sourcing and providing new talent rather than managing individual assignments. 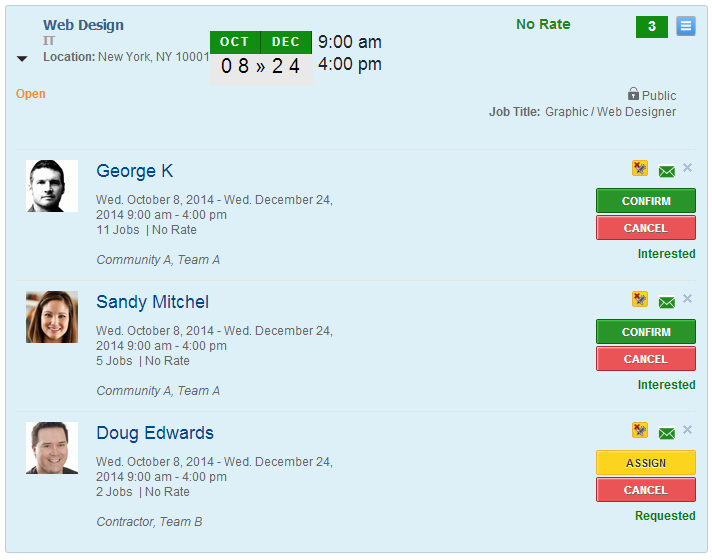 Tasks can be posted either hourly or on a project basis depending on the needs of the customer. 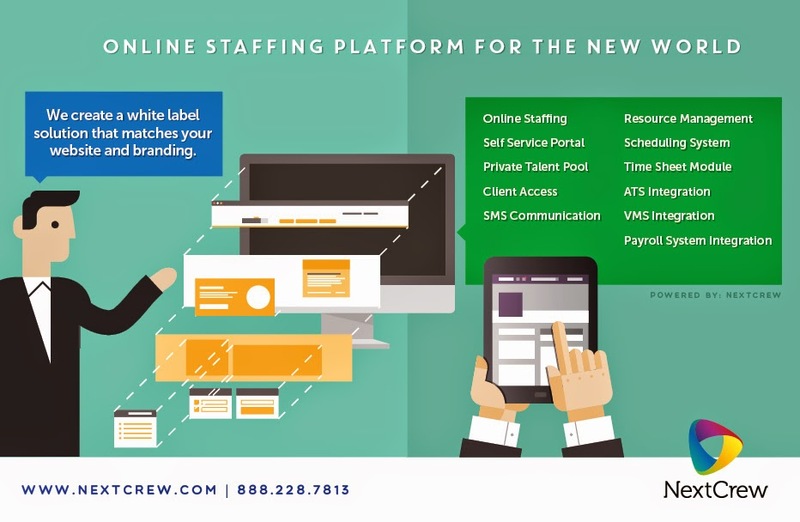 NextCrew can also integrate with existing applicant tracking systems and payroll systems to make the transition to online staffing as seamless as possible. With online staffing your business can launch to the next level and help provide talent to one of the most critical organizations in the world. Contact NextCrew to learn more!